Take advantage of Facebook, Instagram, LinkedIn and YouTube to increase your brand’s awareness, generate new leads and improve customer engagement. Are people talking about your business? Are you using social media to reach new customers? We can help your business leverage social media to generate new leads and improve customer engagement. Engage new customers with social media marketing. Social media marketing can help your business engage new customers by promoting your business, reinforcing your brand and increase awareness of your products or services over Facebook, Instagram, LinkedIn and YouTube. Keep the conversation going with new content. We take a tactical approach in creating quality and relevant content for all your social media activities. We take advantage of content-based social practices such as blogging that gives a whole new dimension in presenting your products and services. Get immediate leads with paid advertising. We create impressive and engaging posts to reach your potential customers. We know how to leverage both organic posts and paid advertising across the range of popular social media platforms. Our affordable social media marketing plans will help boost your market reach and will bring your business closer to your customers. Monthly 2 hours training session with social media mentor. 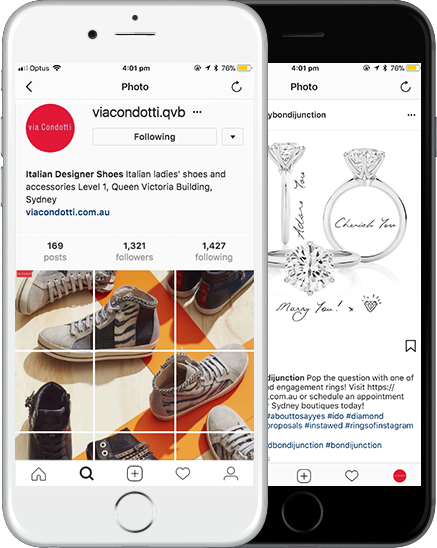 We know how to leverage the latest social media platforms to reach potential customers using both organic posts and paid advertising. Thank you for your interest in our social media package. Please submit your details below and we will email you a copy of our social media marketing information pack.